Toli Ekadasi is the name given to the Ekadashi observed during the Shukla Paksha (waxing phase of moon) in Ashada or Ashara Masam (June – July) in Andhra Pradesh, Telangana and by Telugu speaking community around the world. In 2019, Toli Ekadashi date in Telugu calendar is July 12. This Ekadashi is also known as Deva Shayani Ekadasi or Hari Sayani Ekadashi and the Chatur Mas Vrat (four holy months in Hinduism) begins from the day. 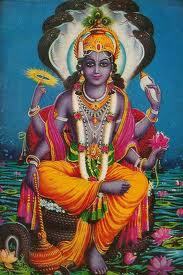 The night time of Devas begins on this day and it believed that Lord Vishnu goes to sleep from the day. The day is of great significance to the farming community as they begin to sow seeds after the first rains on Toli Ekadasi day. A lavish feast is organized on the day. Feeding of poor people and children on the day earns the blessings of Srihari Vishnu. The day is of great significance in Vaishnava temples. Various rituals and pujas are performed for the welfare of the universe and living beings. Charity performed on the day is considered holy and meritorious. People donate grains, food, books, education materials, farm implements and clothes. Feeding animals and livestocks on the day earns virtue. It is popularly believed that by praying and observing Toli Ekadashi will help in redemption of sins. Some people observe a complete fast on the day for the welfare of the family. Taptamudra Dharanam – Wearing of Heated Seals on Body - observed by Vaishnava mutts takes place on the day. This is mostly followed by Mutts associated with Udupi Sri Krishna Temple in Karnataka.